He doesn’t have bread to give us; He is the Bread He gives us. He is the Bread of the Passover—Unleavened. Striped. Pierced. He is the Bread of the Tabernacle—Made with fine flour. Bread of the assembly and Bread of the individual. The Bread of God’s presence, whose face shines upon you. He is the Bread of Bethlehem—Sent from Heaven. Given for all who receive. He is the broken Bread—the Bread of Emmaus, the Bread of Melchizedek, the Bread of the wilderness. 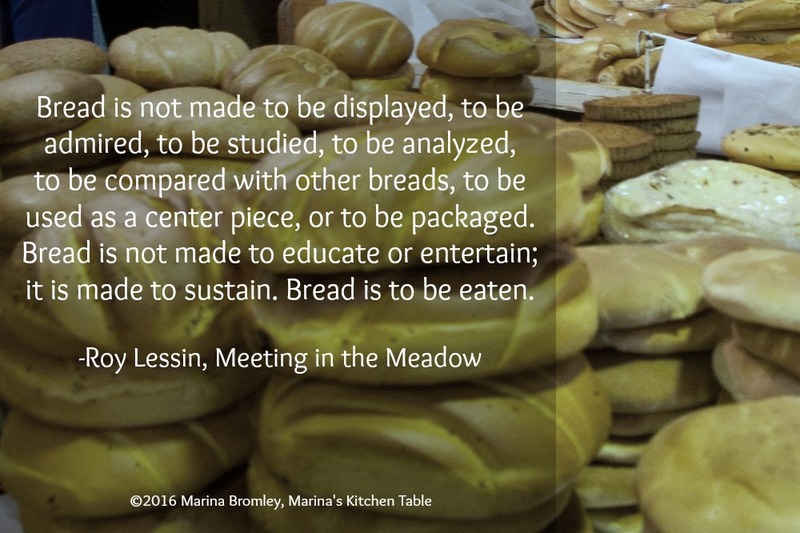 Bread is not made to be displayed, to be admired, to be studied, to be analyzed, to be compared with other breads, to be used as a center piece, or to be packaged. Bread is not made to educate or entertain; it is made to sustain. Bread is to be eaten. Jesus is the Living Bread. He is the Bread of communion, the Bread of fellowship, the Bread of covenant, the Bread of healing and wholeness, the Bread of intimacy, the Bread of revelation, and the Bread of blessing. By faith, receive Him, eat of Him, delight in Him, partake of Him. He is fresh Bread, daily Bread. Take as much as you can, again and again, there will always be enough and more than enough. Jesus is Bread baked in the oven of affliction. The Bread of our sorrows and the Bread of our tears. He is the Bread of all mercies, the Bread of all compassion, and the Bread of all grace. Bread of Heaven, feed me…nourish my soul…fill my hunger… be my strength. Be in every fiber of my being, in every heartbeat, in every longing, in every hope, in every work, in every step, in every plan, in every purpose. ©2016 Roy Lessin, Meeting in the Meadow, photo by Marina Bromley, Marina's Kitchen Table. Reprint permissions at meadowrequests@gmail.com This post first appeared online in 12/2008.